This necklace reminds me of a flower garden with purple pansies. 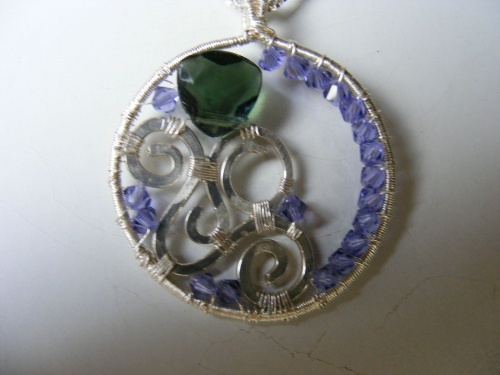 The swirls are made of sterling silver and the beads are tanzanite Swarovski Austrian crystals. The olive colored briolette is also made of crystal. Comes on a sterling silver chain.